One of the few differences between the 50th Anniversary El Primero A386 Revival watches and the original is the superior finishing of the El Primero 400 movement in the new models. There’s really a lot to love about this collection, and most of it is good and simple. 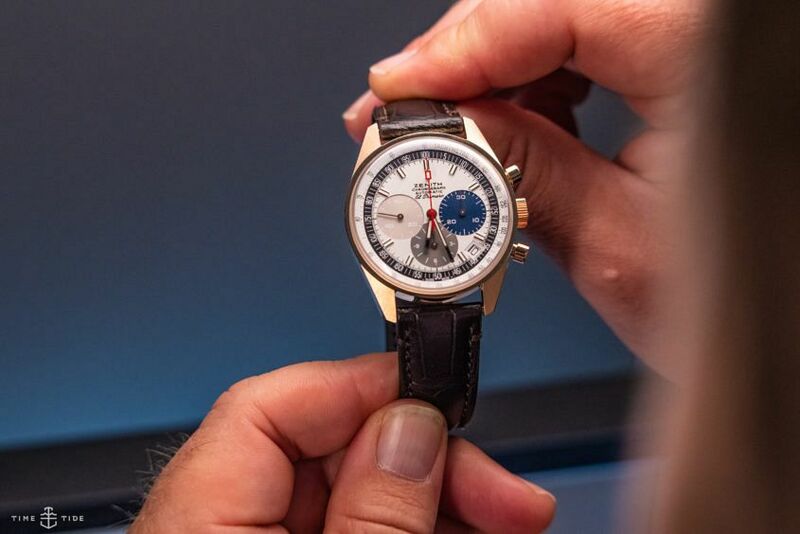 Zenith did the right thing by the original with this revival of the first ever El Primero in 1969. 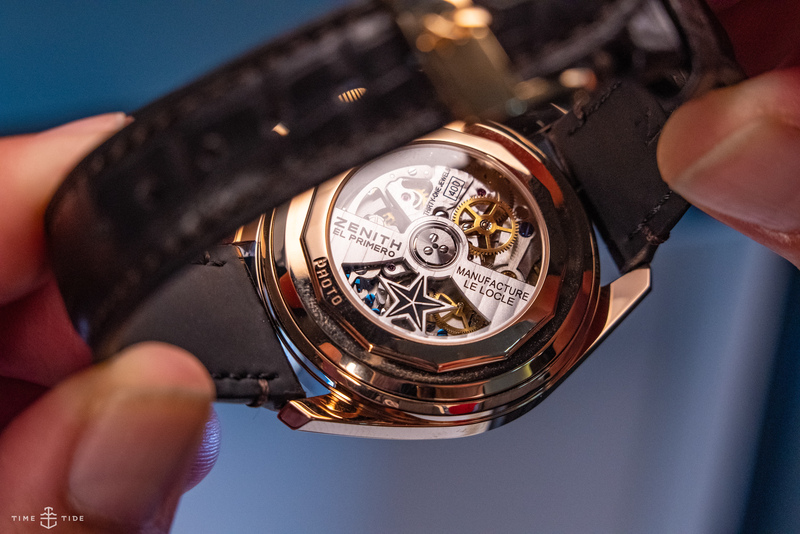 The case size is unchanged at 38mm, the power reserve is 50 hours, and the straps are alligator with gold pin buckles. As per this video, there is the option of a box set, or watches can be bought individually.